Our ALL NEW Race kit for Champions of the future. A perfectly tailored kit for the aspiring young ATV racer. 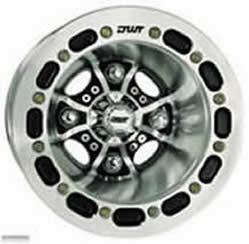 Comes with a set of our all new G2 jr and ROK-OUT jr wheels just like what the big boys use but made of .125 aluminum. The all new G2 Dual Bead lock wheel! This awesome new performance wheel has bead locks on the outer rim and inner rim for super protection against de-beading. 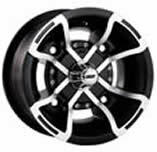 • Lighter than Original Ultimate wheels. 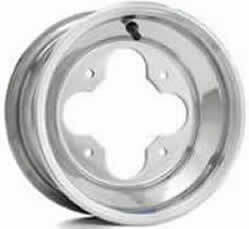 AlumiLite Sport Blue Label standard strength spun aluminum ATV wheels are ideal for the recreational rider. 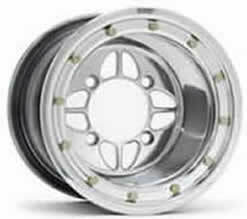 These popular wheels look great at an affordable price. The most popular Douglas wheel, these super strong competition wheels are designed for severe applications such as MX & Enduro racing. This is the strongest standard style ATV wheel from Douglas, made from .190 thick, 6061 heat-treated aircraft grade alloy. 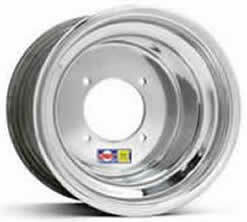 This wheel is the perfect replacement over the stock wheels, it looks great on all quads due to it’s polished finish. 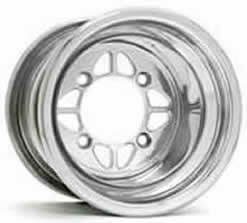 Fast becoming the Racer’s choice, this wheel features a hollow rolled lip edge for maximum strength around the vulnerable bead area. This wheel is light yet very strong. Douglas' Ultimate hollow rolled lip construction is the lightest way to reinforce the vulnerable bead area. All the features of the Ultimate wheel with a super strong billet alloy centre, this wheel will take all the abuse you can give it & is especially resistant to centre buckling. Yellow Label Ultimate Series Rolled Edge Std Centre c/w outer Beadlock. This is the choice of champions, the tyre is clamped to the outside edge of the wheel with Douglas’s unique integral Beadlock design to ensure maximum grip and also to keep the tyre on the wheel allow the rider to finish the race if it gets punctured. 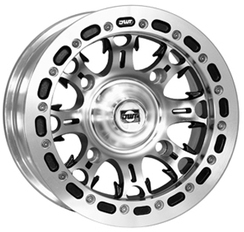 This is the Flagship wheel of the Ultimate series, it has every feature you could ask for, awesome strength in all areas and an eye catching billet centre. 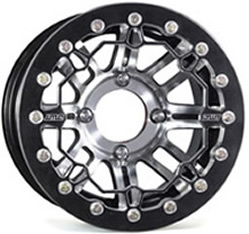 This is the ultimate ATV racing wheel for strength and performance. The popular Shamrock Billet Center wheel is a good looking performer. DWT Ultimate hollow rolled lip construction is the lightest way to reinforce the vulnerable bead area. Our exclusive spun aluminum ATV wheels with billet centers and integral beadlocks provide Maximum Strength with minimum weight. 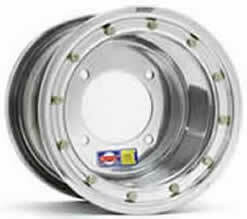 Super strength clamping rings aid in self-centering tires. 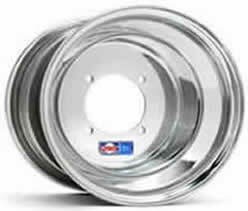 This is the direct OEM wheel replacement from DWT, this 5052 aluminum wheel is engineered to be durable yet forgiving with minimal weight and a price tag to match. The A5 features our super strong rolled lip design, which testing shows exceeds the strength of most of our competitor’s .190” inch thick high-end models. The A5 is already gaining huge popularity in both North America and Europe. 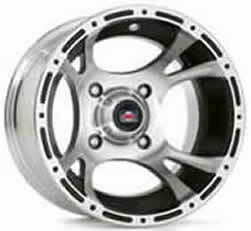 This wheel has the price of an inexpensive import with the performance and quality that you’ve come to expect from DWT. • Adds style without losing protection. • Universal Built in Rock Guard—works with all stock front hubs and most aftermarket hubs. 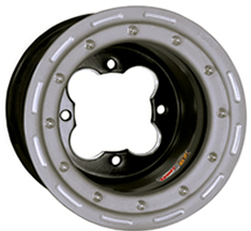 • Stops outside debris from entering, preventing damage to brake lines, caliper and wheel. 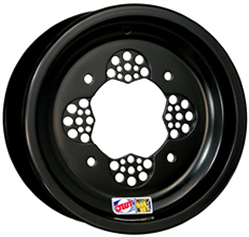 • Eliminates stock OEM steel rock Guard plates for further convenience and weight reduction. Simple and quick, keeps all mud and debris out. Stops vibration caused from build up on wheels. 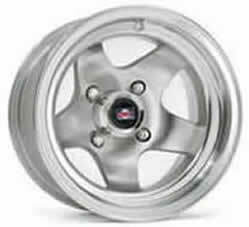 Avail to fit all 10", 9" and 8"
Our NEWEST Cast aluminum wheel design. With it’s wicked styling and performance, it’s sure to scare the competition off the track. NOW IN BEADLOCK! Bring the bling to the strip with your ATV or UTV and turn up the heat on the competition! DWT’s all new Diablo has the performance and hot new style you need! 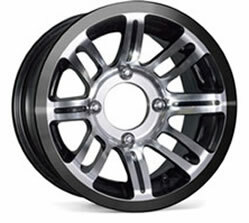 Lightweight aluminium alloy with magnesium and titanium elements added to give a superior performing wheel. Heat-treated for uniform strength, clear coating for lasting shine, super strong reinforced lip. The all-new DWT Performance Beadlock (PB) is the long anticipated solution to your overwhelming requests for an engineered beadlock system designed and built to DWT standards specifically for use with DWT wheels. 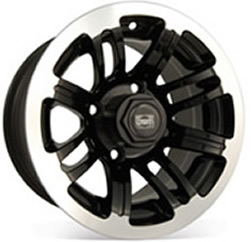 New for 07 – the Spyder just raised the bar for sport-utility ATV wheels. Automotive styling blended with powersports performance is making it hard to keep these LiteCast rollers on the shelf. This eight-spoke beauty is all about ‘look-good, do-good’ performance. New portion-form cast technology allowed our engineers to put material where it needs to be for strength while allowing for multiple vent windows to keep the weight down and to promote brake cooling. With the flagship Trellis design, DWT Performance Beadlocks are not only aggressive looking, but also designed to exceed even our own expectations, which push well beyond the demands of the most severe utility, competition or recreational conditions. Lightweight aluminium alloy with magnesium and titanium elements added to give a superior performing wheel. Heat treated for uniform strength, clear coating for lasting shine, super strong reinforced lip. DWT Performance Beadlocks include a robotically welded inner ring, CNC machined 6061 T6 outer ring and our own proprietary multi-bolt / nut plate lock system. DWT wheels matched to DWT Performance Beadlocks means less chance of air loss from debeading, better protection against rim damage and a valid warranty, which all adds up to peace-of-mind. 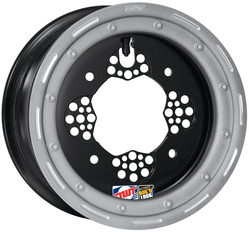 DWT's newest Cast aluminum wheel design. With it’s wicked styling and performance, it’s sure to scare the competition off the track. 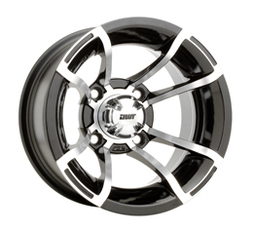 This all new wheel is rated at 1000 lbs per wheel, which means it’s strong and good looking! Available in all Black and Machined, the Diablo will set the trend in the side by side and utility market. A stylish and strong wheel for all seasons. QuatroSport signifies the stability and the quality that has become synonymous with DWT. An aggressive blend of styling and function, its rhythmic kaleidoscope design will gie your production machine the unique one-off look that will make it your own. 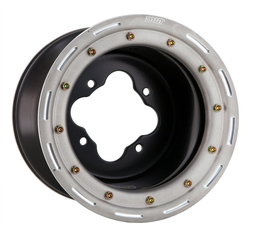 This brand new wheel from DWT is aimed at those street riders looking for that extra bling. A riveting blend of unique styling, unsurpassed quality, and superior performance. This new DWT sport wheel line is a pleasure to look at and a pleasure to roll on. This new wheel is an awesome fusion of quality, performance, and style. Such a great merging of distinct and unique characteristics is sure to be another hit. Available in the popular bolt patterns, Fusion’s aggressive styling includes a chrome center cap at no charge. Cast aluminum BEADLOCK wheel design. 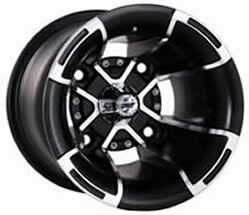 It’s aggressive styling has never been seen before in a true beadlock wheel. The tire won’t dismount no matter how low the tire pressure. The Drift is great for SAND, TRAIL, DESERT and TRACK. It’s zero cavity self-cleaning design won’t trap sand or mud! It’s unique design keeps cost and weight low. Interchangeable Billet or Cast Bead Ring. Bring the bling to the strip with your ATV, SXS or PIT VEHICLE…and turn up the heat on the competition! DWT’s all new Diablo has the performance and hot new style you need! 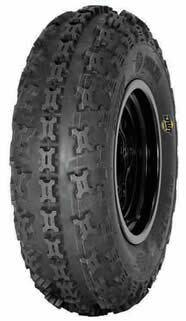 Designed for the toughest MX tracks this tyre is available in a 2 ply rating in std compound only. Maximize your performance on the track. 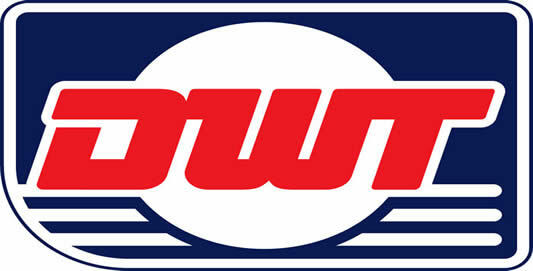 The all new DWT JR MX Tire! 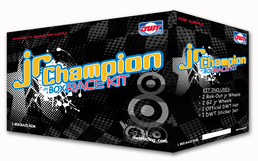 Designed and developed by DWT’s engineers and top Jr racers. The large tread pattern provides incredible traction and added ground clearance. The NEW DWT JR MX Tire takes on ANY trail like a champ! 2 ply rating in soft compound only. The all new DWT JR XC Tyre! The large tread pattern provides incredible traction and added ground clearance on Medium to Hard terrains. The NEW DWT JR XC Tire takes on woodlands or rocky trails like a champ! 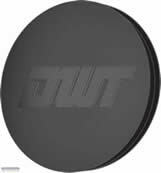 The all new DWT JR XC Tire! 1ST PLACE VICTORY at DEBUT EVENT! 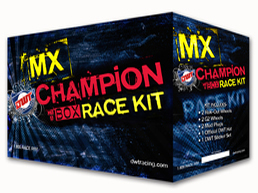 Romain Couprie took first at Blargies on DWT MX tires & DWT Champion in a box race kit. DWT MX SERIES tires and a DWT CHAMPION IN BOX wheel system are the perfect combo for takin’ first or just slingin’ some roost! 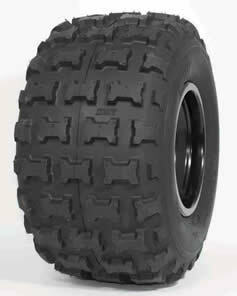 The MXF-V1 is perfect tyre for hard pack tracks. 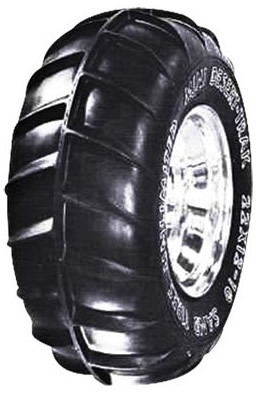 Offering excellent grip, this tyre is available in std or soft compounds. 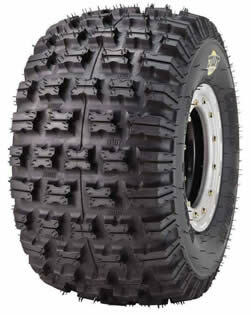 Designed for the toughest wet MX tracks this tyre is available in a 2 ply rating and in a choice of std compound or soft compound. Just like our top notch wheels, these new MX tires are race proven and engineered for maximum performance. 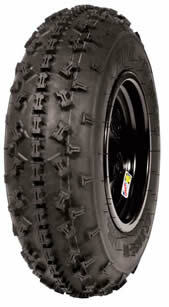 Maximise your performance with a top quality MX tyre. A wide range of choices gives you the ability to customise your rear end for any track in any condition. This proven tread pattern is the latest addition to Douglas's impressive tyre range, designed to offer maximum performance and delivering superb grip. It will take some beating. 4 ply soft and 4 ply supersoft compound are both available. The ultimate tyre for Enduro or Cross Country riding, this is a 6 ply rated E marked tyre that is available in Douglas's std compound to improve wear life while still offering maximum grip in any condition. Available in an E marked std compound, and in a non E marked soft compound both in 6 ply rating. 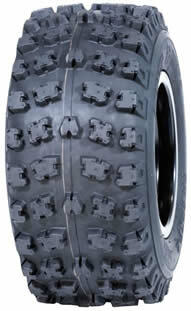 Brand new to the UK market the tried, tested and proven Douglas Beach Racer sand tyre. Single band, half paddle tyre that gives excellent stability whilst offering amazing grip in the sand. 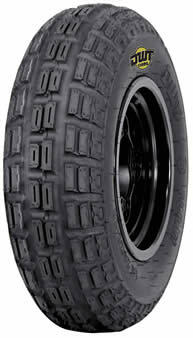 With more and more beach and sand races appearing these tyre's are a great investment and will last you a season after season.